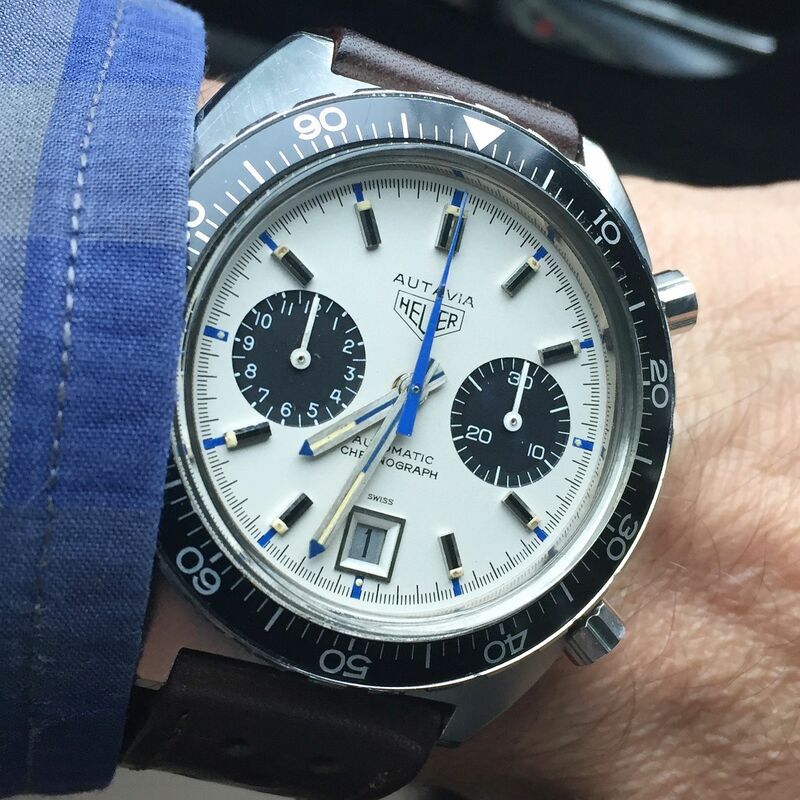 Gorgeous Autavia Jo Siffert Mk6 is all original with original box and GF bracelet. Dial is in stunning condition and case lugs full with sharp bevels. Decimal bezel unique and rare. Cal 11 is functioning perfectly. Service history unknown. This is a true collector piece. I have reduced price to 11k USD shipped/insured. Please contact me for more pics or questions.